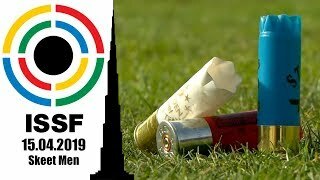 The outgoing ISSF President opened his doors to ISSF TV, telling the story of his life-long involvement with Shooting sport, from how he got into the sport by chance, to his imminent retirement. 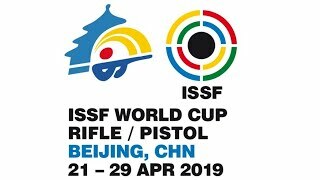 Mexico’s Olegario Vázquez Raña (83) has been leading the International Shooting Sport Federation (ISSF) for 38 years. A successful entrepreneur, a four-time Olympian as well as a national, continental and world record holder, he has been the driving force behind the innovations that changed sport in the last four decades. On 30 November 2018 he steps down and retires following a decision he made public in 2014, as the ISSF General Assembly elects its new leadership in Munich. 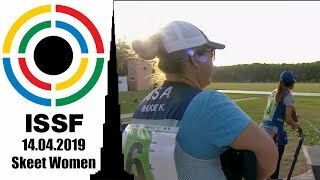 ISSF TV met him in Mexico City in July 2018, when Mr. Vázquez Raña opened the doors of his office and of his house to tell the story of how he got involved in the sport by chance, to end up being a shooting champion, as well as the longest-standing ISSF President. The video also feature interviews with IOC President Thomas Bach, ISSF Secretary General Franz Schreiber, ISSF Vice President Gary Anderson, ISSF Executive Committee Members Robert Mitchell and Alexandros Dimakakos, ISSF Administrative Council Member Derek Ivy, India's first Olympic Gold medalist and former ISSF Athletes Committee Chairman Abhinav Bindra, the President of the Shooting Confederation of the Americas Carlos Sliva Monterroso, and Olegario Vazquez Raña's wife Maria de Los Angeles Aldir de Vazquez, their son Olegario Vazquez Aldir, and their daughters Monica and Maria. “I started by chance, but I soon got to love Shooting. I love this sport. It’s in my blood, it’s in my dreams,” President Vázquez Raña said.